In 2008 Memphis was named one of Bicycling magazine’s worst cities for bikes. Memphis mayor A.C. Wharton and others are dong their best to change all that. The city has added 35 miles of bike lanes, they’ve got plans to connect trails throughout the city and on and on. Great stuff. Even greater is that Memphis is just a mere two-hour drive away and I have family nearby. Read about the Green Lane Project here. 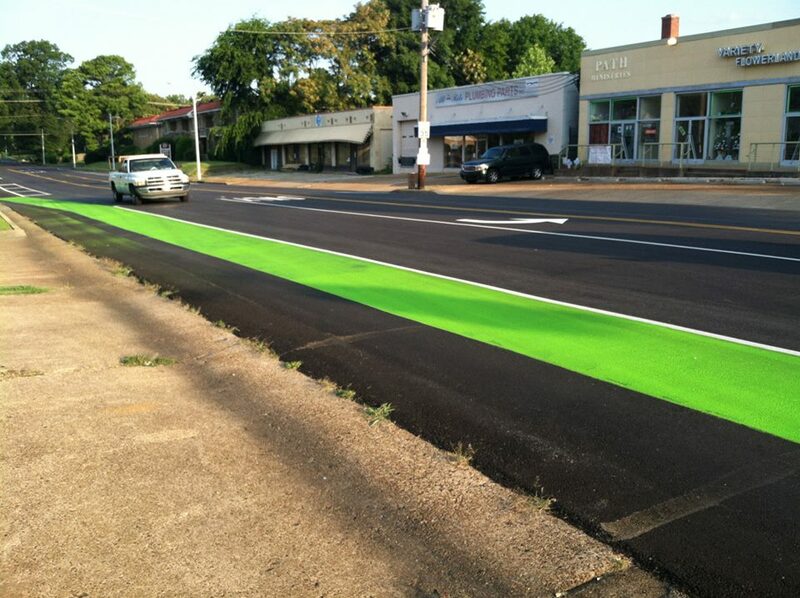 And check out a photo gallery from People for Bikes on Memphis’ newest bike lane (pictured above) here.